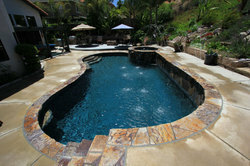 Owning the experienced and hard workers, we present a variety of Pool Glass Mosaic Tiles. These tiles are made with high grade raw material sourced from reliable vendors. Mosaic tiles are widely used in swimming pools, fountains, lakes, water parks and many more and our tiles known for its perfect finishing and stylish design. We offer these tiles at the most Economical Prices. 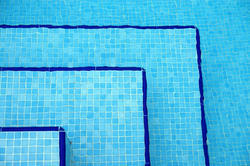 We provide a wide gamut pool mosaic tiles in various designs and finishes. These are as per industrial standards and are widely appreciated for durability, reliability bb low maintenance. The tiles are easy and fast to install and are highly weather resistant with natural artistic appeal. We also provide customization as per the requirements provided by clients. Pool Glass Tiles, offered by us, are widely used for swimming pools, manufacture using standard material sourced from our vendors. These tiles are highly popular because of their strength, fine finish and different color combinations. Available in various dimensions, these designer falcon tiles are made of superior quality raw material. We market these tiles at customer friendly prices. We are one of the leading suppliers of Pool Shell Tiles, which are used in various residential and commercial swimming pools. Made up with premium quality raw material procured from various reliable vendors and are known for their superior designs and finishing standards. We also offer personalized services to our clients at competitive prices. 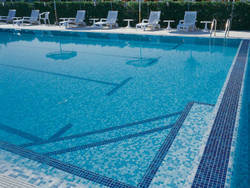 We are widely known for manufacturing and exporting the extensive range of ceramic pool tiles. Designed as per the latest trends, these tiles are light in weight resistant to changes in temperature. we offer these tiles at the most competitive prices and can also get them customized as per the specifications of the clients.